To the latest generation of fashion fans, Balenciaga is the audacious brand with the pricey tote inspired by an IKEA carrier bag. Their parents may fondly recall the sensual feistiness of Nicolas Ghesquèire’s 15-year tenure at the house. In their grandparents’ day, however, Balenciaga was acknowledged as the master of haute couture, his name synonymous with inventive shapes and technical exactitude. Out of reach to all but American heiresses, European royalty and other denizens of the beau monde, his ground-breaking designs had a huge influence on the fashion of his own time and the decades that followed. Many of his pod-like and voluminous silhouettes still look strikingly contemporary: avant-garde, even. 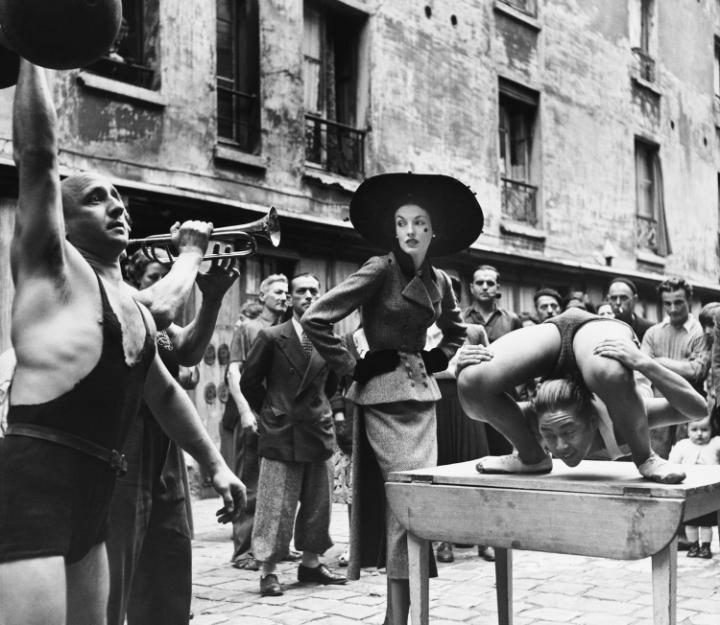 Balenciaga was born in 1895 in the Basque region of northern Spain. It is now a century since he founded his fashion house in San Sebastian, and 80 years since his move to Paris. Rather than a full retrospective, Shaping Fashion focuses on the designer’s last decades, a period during which he knocked out an astonishing series of innovations: the sack-dress, trapeze-hemmed babydoll frocks, a one-seam coat, a tie-on skirt that could be worn as a cape, long puffball evening dresses that billowed like clouds. We tend to read fashion as an endless series of repetitions, references and rehashes – Balenciaga’s output in the Fifties and Sixties was a rare instance of a designer creating something completely new, and then doing it all over again the next season. 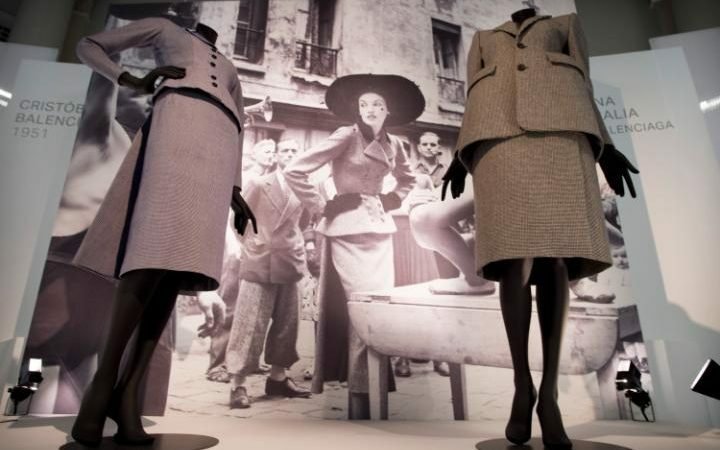 Shaping Fashion is divided into three sections, covering the milieu, making and legacy of Balenciaga’s designs. Of these, the segment dedicated to the clothes themselves and the women who wore them is comparatively discreet – confined, alas, as always, by the V&A’s rather stern little glass display cases and the low lighting demanded by shows of delicate textiles. There are a few pieces owned by Ava Gardner, but Balenciaga wasn’t really in the business of Hollywood va-va-voom and showmanship: if you’re after celebrity glitz, look elsewhere. In the legacy section, we see the work of Balenciaga’s assistants and mentees, among them space-age mini dresses by André Courrèges, and glamorous eveningwear by Hubert de Givenchy – and those that followed. 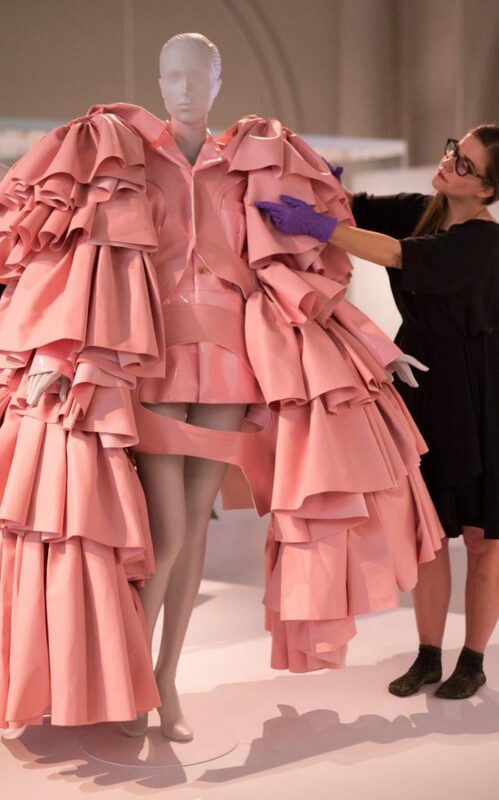 As well as a distracting video of interviews with contemporary designers that would have done better in its own space, we see Molly Goddard’s bright babydoll frocks, Hussein Chalayan’s ruffled egg-shaped pod dress and wild, highly structured designs by Rei Kawakubo of Comme des Garçons, all of which suggest Balenciaga’s enduring influence. Here, too, are pieces by Demna Gvasalia, current creative director of the house, including an off-the-shoulder ski jacket that in structure and volume still retain the master’s influence. The heart of this exhibition, however, is the section dedicated to the making of the works, and here, design nerds are in for a real treat. Drawing on the V&A’s extensive collection of Balenciaga silhouettes (put together for the museum largely by society photographer Cecil Beaton in the Sixties and Seventies) as well as the Balenciaga Archive in Paris, the displays show historic pieces alongside technical drawings, design sketches, fabric swatches and reference photographs taken by the house of each piece worn by its fitting model. Two fresh elements make this aspect of the show particularly insightful. One is a series of toiles (fully stitched replicas produced in inexpensive fabric) that allow the designs to be displayed half open and in ways that reveal the ingenuity of their construction. The other is a set of short animated videos that show how Balenciaga’s two-dimensional patterns resolve themselves so satisfyingly into three-dimensional garments. The X-ray technique that V&A used to gruesome effect in Undressed: A Brief History of Underwear here reveals the garments’ underlying framework (as well as the occasional pin left in the hem). 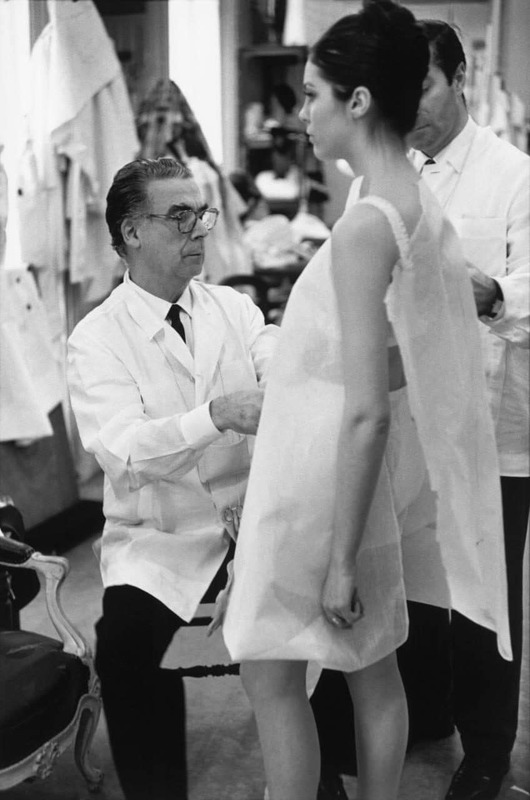 Many of Balenciaga’s designs were deceptively simple: this in-depth investigation of structure and making will be a revelation for anyone interested in the technical aspect of dress-making or design.